Intern is a biannual independent print publication, showcasing the work of emerging young creatives. Buy a single copy or subscription to Intern magazine. All of the output in this informative magazine is created either by, or for, the people that they represent. 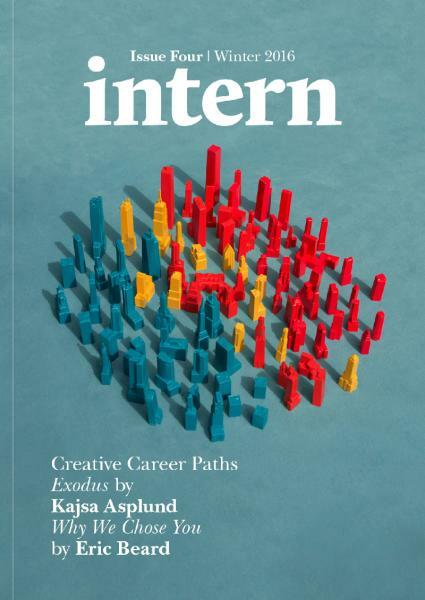 Balanced, unbiased and frank discussions, an open submission policy, and with strong ties to creative industries, Intern strives to communicate the importance of thoughtful recruitment to those at all levels of all industries. Industry leaders are invited to share their opinions on a topic, widening the debate from all angles. The real stars of the magazine are the young contributors who shape each issue with their ideas and insights.